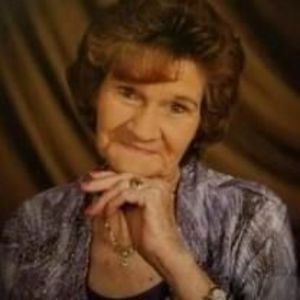 Mrs. Sally H. Gardner, 76, of Jamesville, N.C. , went to be with the Lord on Friday, July 28, 2017. Mrs. Gardner worked at and managed The Cypress Grill in Jamesville, N.C. for 37 years. She loved her community and loved her family. She loved cooking for her grandchildren and great-grandchildren. She will be missed by all who knew her. Funeral services will be on Monday, July 31, 2017 at Cedar Branch Baptist Church in Jamesville at 11:00 A.M. Visitation will be from 6:00 until 8:00 P.M. on Sunday July 30 at the church. Burial at Jamesville Cemetery. Mrs. Gardner is survived by her husband Leslie of the home, her sons, Randy and wife Terry of Jamesville and Kelvin and wife, Donna of Jamesville; a daughter, Kathy Davis of Jamesville, 15 grandchildren and 14 great-grandchildren. Sally was preceded in death by her parents, William Jackson and Roena Hoggard and a son, Eric Gardner. She was a member of Cedar Branch Baptist Church.